Other times, it's conversational catharsis. It's about swinging by with coworkers as the exhaustion finally hits you after a whirlwind week at work. You slide into a chair on the patio, gaze up wearily into the sky, and mumble your frustrations into a whiskey glass. Andy's Bar and Grill, perched perfectly in between Browne's Addition and Downtown, works remarkably well for both roles of happy hour. 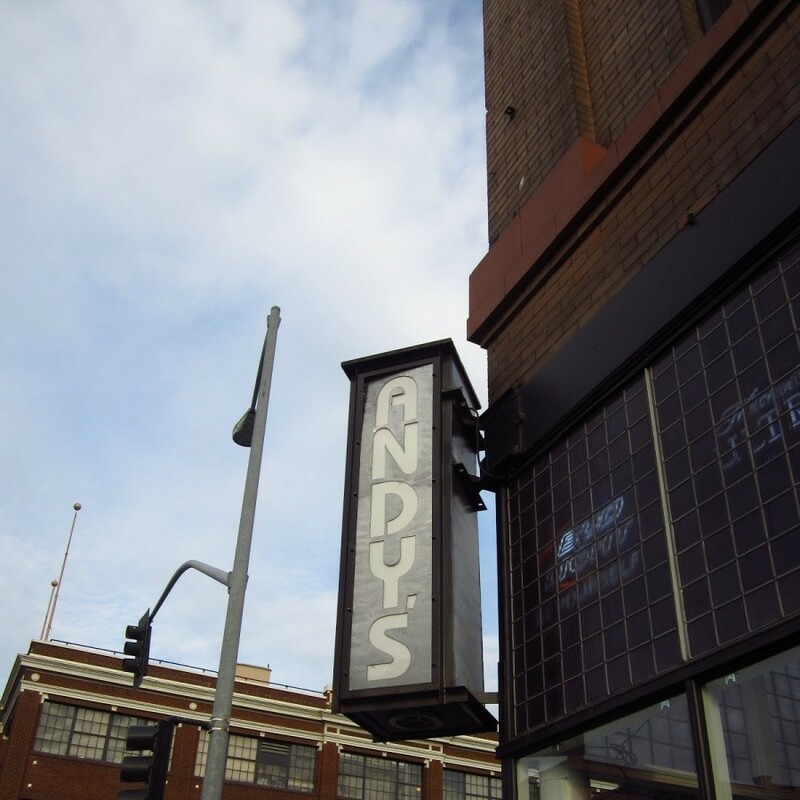 On Tuesdays at Andy's PBRs are a $1, coinciding nicely with those few hours in which the the Inlander's issue has been sent to print, but the work on the next week's issue hasn't quite begun. The usual drinks and cocktails, naturally, but the untold story of Andy's is the full-menu of food. The $12 burger that comes with all the typical burger fixings plus swiss plus cheddar plus ham plus bacon? And garlic parmesan fries on the side? Yes, it was delicious. But, then again, I was expecting it to be delicious. I was a bit more nervous, on the other hand, about the Chicken Cordon Bleu Bites ($7 during Happy Hour.) After all, I've been betrayed by various cheese-filled foodstuffs in the "popper" genre before. Not this time. The bites have the perfect mix of breading and chicken and cheese. They come with honey mustard sauce and crumbled bacon bits and green onions. I'd promised I would share with my coworkers. That, in hindsight, was a mistake. $1 off all draft beers, well-liquors and house wines, and $2 off appetizers. For information on more Happy Hours around town, download the Inlander's Drinkspotter app from your phone, or go right here.